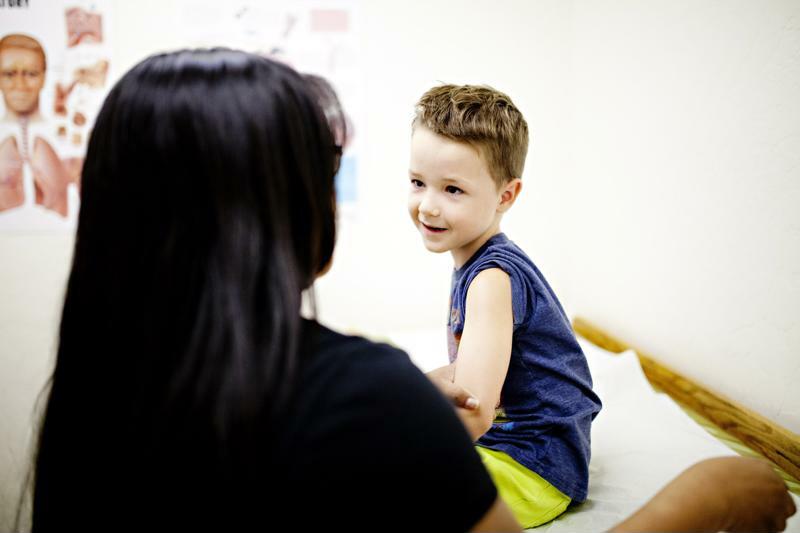 According to the Agency for Healthcare Research and Quality, there were 30 million emergency department visits among children aged 18 years or younger in 2015, and nearly 96.7 percent were treated and released. Reasons for visits ranged from conditions like sprains and infections, to coughs and nausea. While many of these children benefited from urgent care, others could have avoided an in-person checkup which cost parents and guardians lost time and missed work. Telemedicine has the power to eliminate issues that may surface in regard to children receiving pediatric care. Not only can it keep parents from pulling their kids out of school if they're only dealing with a mild concern, but it can also help families who live in rural areas and don't have immediate access to the care they need. According to the National Alliance on Mental Illness, the entire country is currently facing shortages of child psychologists and psychiatrists. In fact, many communities don't even have one qualified adolescent psychiatrist in the area, making it difficult for vulnerable populations to receive the care they need. "Telebehavioral health may be more effective for children than in-person counselor meetings." Telebehavioral health is a convenient and satisfactory solution for children seeking psychiatric care from afar. A study by the Department of Psychiatry and Behavioral Sciences at the University of California even found that telebehavioral health could be more effective for children than in-person counselor meetings, likely due to the potential unwillingness to open up to someone face-to-face. Telemedicine for children's mental health ensures younger populations feel comfortable talking through situations in a less intimidating setting, and it also eliminates scheduling challenges that often force parents to miss work and pull kids out of school. Shasta Community Health Center uses telehealth to connect patients in rural areas to the specialists they need. Specifically, they've helped Bobbi Hooks care for his grandson Maurice who lives with cerebral palsy. Instead of driving three hours to UC Davis for neurological care - or waiting for an emergency airlift to Sacramento during a seizure - the family can connect with a neurologist virtually for help to control Maurice's seizures. "If we did not have telemedicine neurology at our facility, I worry about missed appointments." said Deepika Saini, MD, pediatrician at Shasta Community Health Center. "It's very hard for families to travel from here to a children's hospital. If he [Maurice] missed appointments his seizures would not be in control. Hooks is thankful for the opportunity to communicate with specialists in the nick of time via telemedicine. "I look at telehealth as a god blessing for anyone with a special needs child, or any child." Children can receive quality care at school with telemedicine. Scheduling a doctor's appointment means that parents not only have to take time off of work, but they also have to take their children out of class. This can be an issue for families across the country, but specifically ones living in rural communities who don't have access to a nearby care facility. That's why Sevier County schools in Tennessee partnered with Cherokee Health Systems to implement a school-based telemedicine program to ensure 14,000 students and hundreds of faculty members could happy and healthy without having to leave school for care. "Having access to providers through the use of telemedicine technology not only keeps students in school, but in some instances represents access to high-quality care that is otherwise difficult to come by in rural in Tennessee," Julia Pearce, regional vice president of Cherokee Health Systems shared. Telemedicine has the ability to change lives. With better access to quality care, all children and adults can receive the assistance needed to remain in good health. At AMD, we believe telehealth solutions bring undeniable opportunity for optimal health and wellness. For more information about our telehealth solutions for pediatric care, contact us today.